Have you procrastinated planning your workplace holiday party? You aren’t alone! Although this is supposed to be the happiest time of the year, it can also be the most stressful time of the year. There is so much to juggle—family gatherings, events with friends, and corporate celebrations. 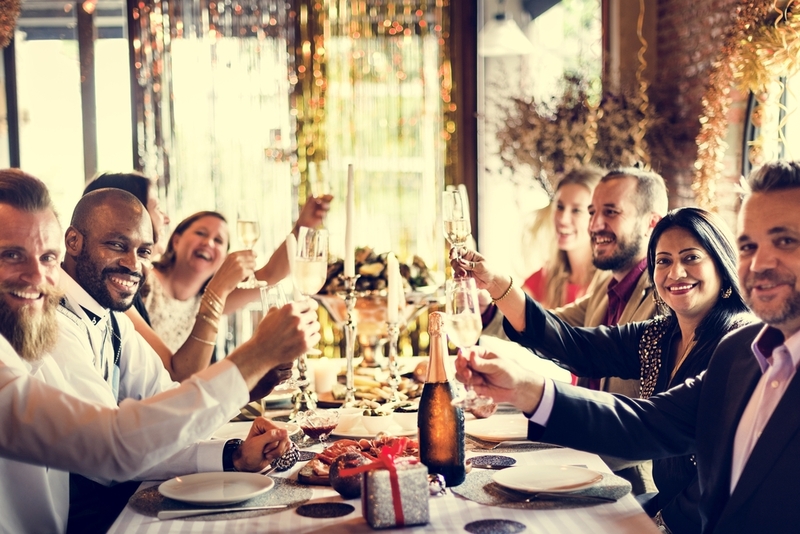 The holidays might be here already, but that doesn’t mean it’s too late to put together a holiday celebration your employees will talk about for a while. 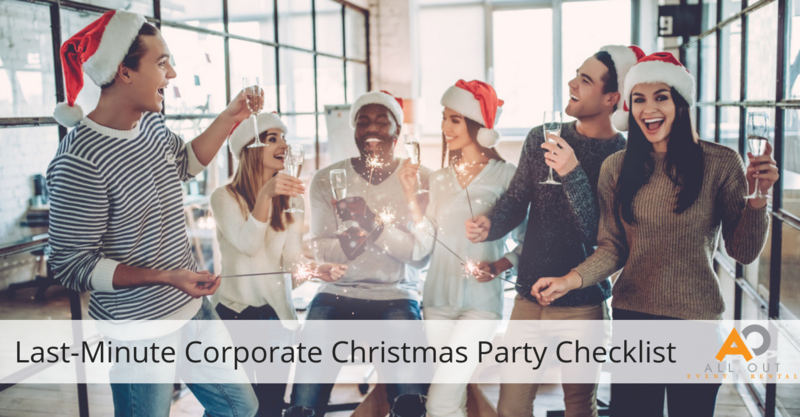 Our last-minute corporate Christmas party checklist is your key to throwing a successful event! This will strongly depend on two things: the size of your company and the size of your budget. Choose beforehand whether you want something casual or a fancier event—whether you’ll hold the event at the office or take your employees out. These factors will play a big part in how your party should be planned. Utah businesses have a lot of competition when it comes to holiday parties. With Silicon Slopes right here many companies feel the pressure to throw huge, elaborate parties like Qualtrics, Adobe, and other big tech firms. If you’re going for that, great!—but keep in mind that planning a smaller, more intimate type of party can be equally as good. It just depends on what your company wants, what you can afford, and what type of party best matches the culture of your business. Think about how much you want to spend and stick with that budget. Don’t go crazy! Balance your budget between food, prizes, venue, entertainment, and anything else you’d like to include. Whether your company is a multi-millionaire company with thousands to spend on a party or a smaller company with only a few hundred dollars, you can still plan a great event. It’s all about how creative you are when deciding on what to spend your budget on. Not every employee may be able to make the holiday party. Get a headcount beforehand so you can adequately plan. Additionally, determine if your employees are encouraged to invite a plus one or if the event will be strictly for employees. Getting an accurate headcount for your event (and planning for a small buffer) can save a lot of time and confusion on the day of your event. One good way of getting a headcount is to send out an email to everyone in the company. The email should include an invitation as well as a survey. The survey should allow each employee to tell you if they plan on coming and if they plan on bringing anyone with them. Choose a location for your party—somewhere that can comfortably host everyone and any planned activities. The choice of venue should be dictated by the type of party you’ll be throwing. If you’re looking for something small and intimate, take that into account when researching venues. Are you serving dinner? Investing in entertainment? Go-Karting? These are all things to consider before choosing the venue. Are you going to have your event catered? Inviting employees to participate in a pot luck? Both of these options need to be planned in advance. Reserving the caterer or giving employees enough time to prepare their dish is necessary so that they can fit your event (as well as the preparations they need to make for it) into their schedules. If you haven’t already, now is the time to figure out the food for your event. 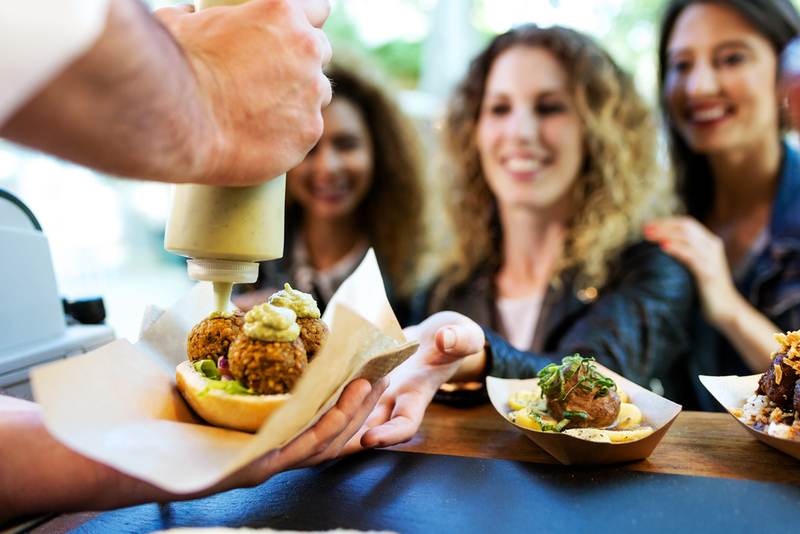 When it comes to reserving a caterer, restaurants and food trucks typically require advanced notice and many of them are already booked by the time the holidays come. However, that doesn’t mean that you should give up on your catering plans! The Food Truck League has lots of connections within the local industry and might know of some trucks that your company could contact to fit in with your schedule. Smaller, hole-in-the-wall restaurants might be willing to seize the opportunity of catering for your business too. All you have to do is ask—and keep asking if you must. Although decor is often overlooked, it’s an essential part of any holiday party. It’s important to invest in the right decorations. Depending on where you hold the event, it may be up to you to bring the holiday feel to the venue, especially if your party is held at your office. This could be a great opportunity to get crafty! Get your employees on board by having crafting sessions. You could even get a little competitive by giving the team that makes the best decorative crafts a reward. While some venues may provide tables, chairs, linens, bars, and flatware, not all do. Whether your party is at the office or at another location, be sure to plan for these essential items. Once you have a good count of who will be there, determine how many of these essentials you’ll need to accommodate your group. If you haven’t already planned your corporate holiday event, start today! Let All Out Event Rental help guide your party to success. Call us today to start planning your event: 800-638-9849.